Healthy Living — Orange County (CA) Alumnae Chapter of Delta Sigma Theta, Inc. The OCAC-CA strives to provide resources and information for Sorors to inspire and sustain healthy lifestyles. Through periodic question and answer panels, partnership with community based health organizations and providers, and informative meetings, we reinforce messages regarding sensible eating, regular exercise, and proper work/life balance. This program mainly seeks to raise awareness of issues and risks facing women in an effort to perpetuate ongoing health improvement amongst the community at-large. Overall, this aspect of our service initiative emphasizes Delta’s commitment to Physical and Mental Health Awareness. 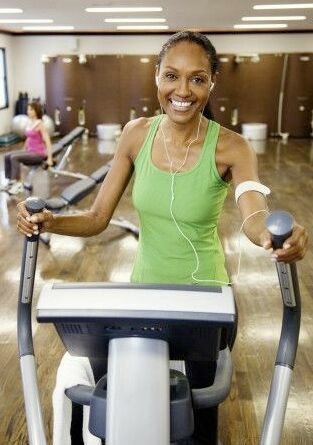 According to the CDC adults are recommended to get at least 2 ½ hours per week of moderate-intensity aerobic activity or 1 hour and 15 minutes per week of vigorous-intensity aerobic activity, plus muscle-strengthening activities at least two days per week. Here are some tips to better sleep! Maintain a Cool Bedroom Environment Room temperatures between 60 and 67 degrees Fahrenheit are optimal. Taking a warm bath or shower prior to bed can help. The contrast between the warm bath or shower and your cool bedroom environment will help with sleep onset. Limit Noise in the Bedroom An alternative to eliminating sounds is to mask them using a “white noise” device such as a sound machine. Light Exposure Affects Sleep Limit outdoor light through the use of black out curtains and avoid the use of electronic devices in the bedroom. Engage in Relaxation or Other Coping Exercises Relaxation, deep breathing, or other ways of coping with stress such as keeping a “worry log” can help to decrease feelings of anxiety and depression that may disrupt sleep.